Our mobile, automotive locksmiths will the arrive on the scene with everything needed to handle your trunk lockout quickly. There is no waiting around on us while we run back to the shop because we forgot something. We also give all clients upfront pricing on every service that we provide. You will not receive any hidden surprises when it comes time to pay the bill. Just contact us the next time that you need trunk lockout services and you will be glad that you did! 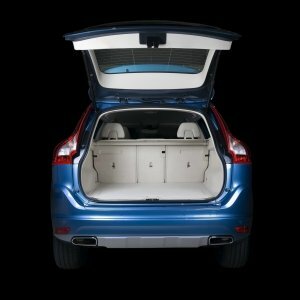 The trunk of your car is a great place to store items you want to keep out of plain sight of those passing by. It is also a good location to store items away from the direct sunlight and to keep items that you may need in the event of an emergency. 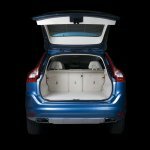 In short, the trunk is a very useful part of your car, which is why it can be frustrating to experience a trunk lockout for any reason. Pros On Call has automotive locksmith experts that can respond quickly to any need that you might have, including being locked out of your trunk. We are a mobile locksmith company that will come to you, so you can count on us to get you the access that you need as quickly as possible.Call Us For All Types Of Car Lockouts And Additional Vehicle Services Too! Call Us For All Types Of Trunk And Car Lockouts And Additional Vehicle Services! Pros On Call is pleased to offer a variety of services designed to help you get back into your car and get on your way. If your car keys are either lost or stolen, you are obviously in a bit of a pickle. Without a way to enter your car and get it started, you can be stranded in the most inconvenient of situations. We will come out and assess the situation and get you a new set of keys made in no time at all. You trunks and glove box are valuable parts of your vehicle. Do not feel that you need to break the lock to either if you have been locked out of your car. Just give us a call and we will be right out to get you the access that you need. If your lock needs to be replaced on either your trunk or glovebox, we can take care of that for you as well. A car key that has broken off in the lock is no fun at all. Even if you have a spare key, the lock is not accessible. This is especially problematic if the key breaks off in the ignition. With our automotive locksmith services, however, you need not worry for much longer. We will get the key removed and a replacement made right away. If you have a new driver entering the household, or you just want to have an extra set of keys made just in case, we can take care of that for you as well. Our mobile locksmith will arrive at your location with everything that they need to complete the job and get you the set of keys that you want. As a 24-hour locksmith, we will respond to your call within 30 minutes. It does not matter what time of the day or night that you call us either. You can expect the same prompt and courteous response each and every time that you call. With technicians that all have a minimum of five years of experience in the field, you will know that you are in great hands. Our emergency locksmiths will arrive on the scene with everything needed to complete the job. There is no waiting around on us while we run back to the shop because we forgot something. We also give all clients upfront pricing on every service that we provide. You will not receive any hidden surprises when it comes time to pay the bill. Just contact us the next time that you need trunk lockout services and you will be glad that you did! Check out these super easy tips to help you keep track of your car keys and avoid future trunk lockouts. Trunk Lockout https://prosoncall.com/locksmith/automotive/trunk-lockout/ 4.1/5 based upon 24 reviews.